Hi all! 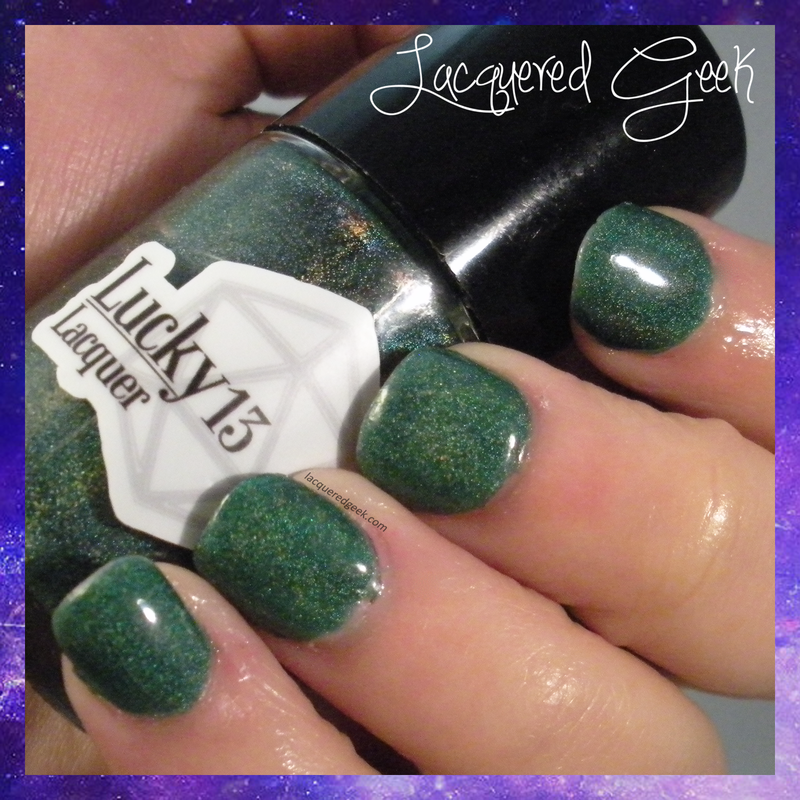 Today, I am sharing a discontinued polish from Lucky 13 Lacquer from this year's Halloween collection - Emerald City. A few weeks ago, I shared another polish from this collection with you. The collection was based on The Wizard of Oz. 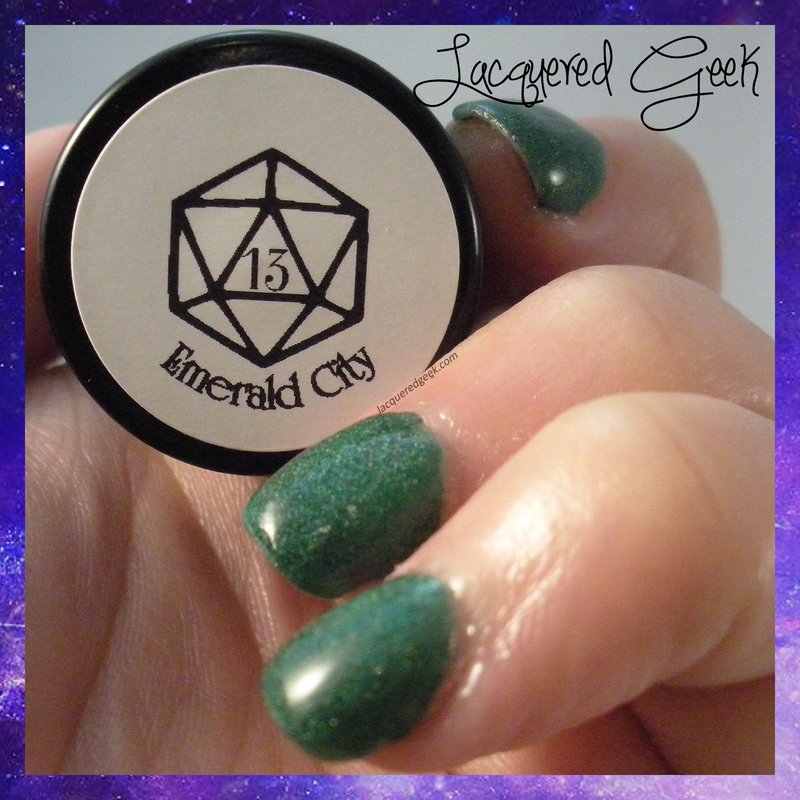 Emerald City is an emerald green linear holo. The lush green will totally lend itself to the holidays; it would make great evergreen trees. 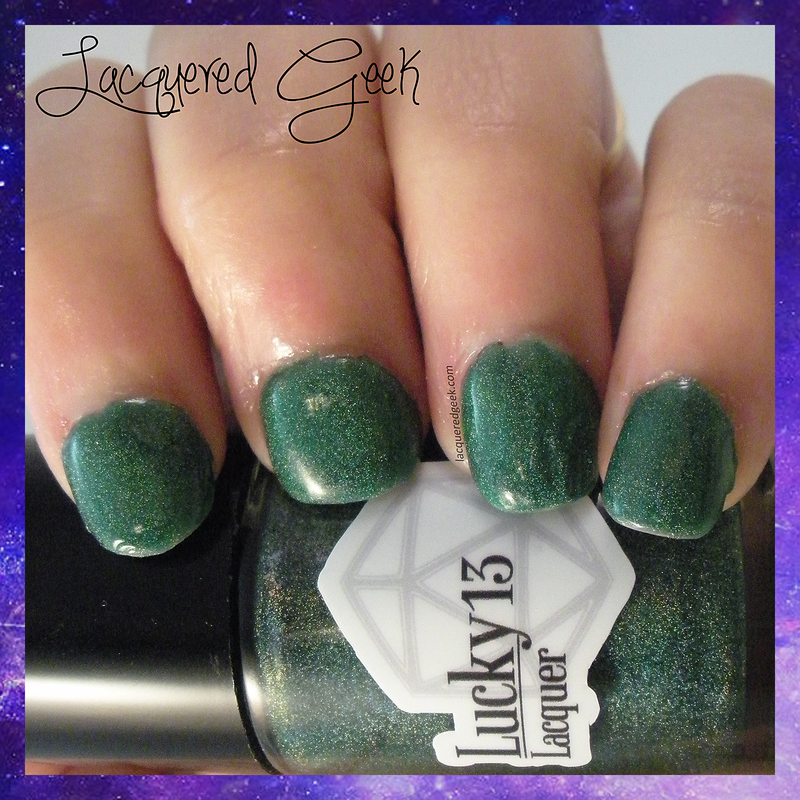 Like most holos, the formula was on the thin side. It was super easy to work with, and simply glided onto the nail. I used 3 thin coats for these photos. It dries shiny, but I did add a topcoat. 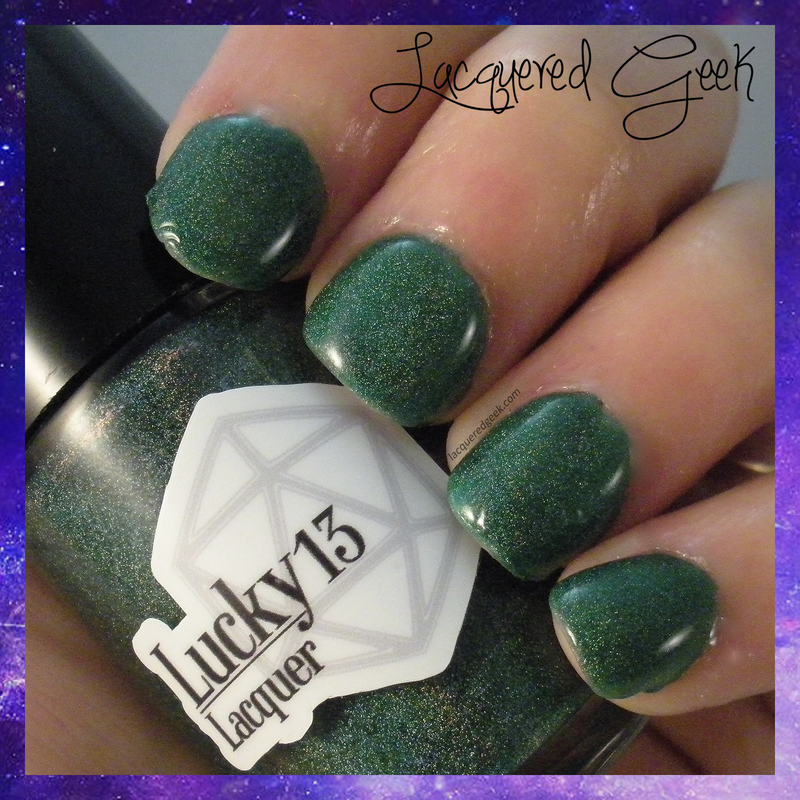 You can check out other Lucky 13 Lacquer's here. Her polishes range from $8.50 to $10 a bottle. Don't forget to check out the giveaway that I currently have going on!